Be warned: This review contains spoilers, because, otherwise, it would have been a shallow essay about one’s highly-subjective opinion. 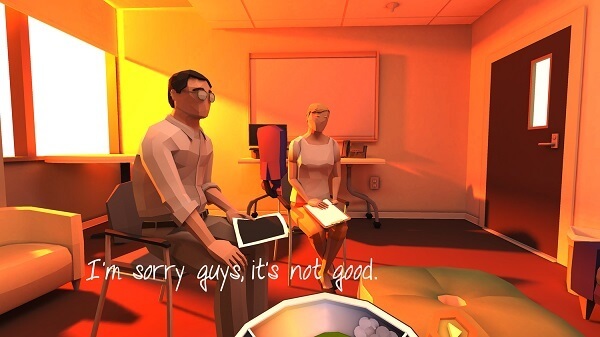 To get down to it, That Dragon, Cancer is not really a good video-game. In many respects, you can pretty much compare it to an independent movie about the gruesome realities of cancer. It’s a narrative-driven game, where the player needs to push one button to interact with objects and continue the story. But it makes up for the lack of traditional game elements by telling a heart-breaking story about a little child diagnosed with a merciless form of brain cancer, and who was given less than twelve months to live. This story is a real one, which the developers, Amy and Ryan Green, have gone through. Their child, Joel Green, has been dealt a bad hand – a short and painful life. Yet, Amy and Ryan don’t actually explain to their other children the horrors that their newborn is currently living through. It sets the mood for a harrowing tale filled with poetic sequences, surreal imagery, and unbelievable scenes of grief and despair. If you’ve played Dear Esther, The Vanishing of Ethan Carter, Everybody’s Gone to the Rapture or Gone Home, then you’ll pretty much love the pacing and won’t mind advancing the story just by listening to the plot and witnessing how it unfolds, pushing a button once in a while to go to the next phase of the story. 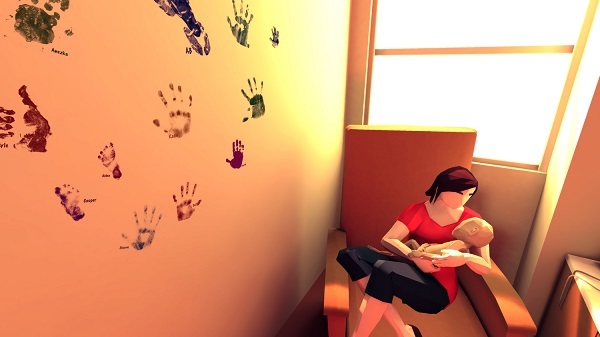 It isn’t good at being a video game, but it’s fantastic at making you cry. The Greens don’t tell their other children that their little brother, Joel, will meet a gruesome fate. Instead, they present it as bedtime story, where Joel is this brave little knight that disperses foes using spears. At the beginning, Joel is bound to fight through them and surface victorious, due to God lending him a hand. Cancer takes the form of the dragon, part as a coping mechanism conveying the wishful thinking of the parents, which grasp at the fantasy setting, giving the illness a physical manifestation that can be beaten. And part because, clearly, they don’t want to scar their children for life. But, Joel passed away in 2014 – this isn’t a spoiler, as the main theme of this game is about the experiences of a family that fights for the survival of one member, who doesn’t have a shot at a first kiss, sweet sixteen, a high-school crush, college parties, first job-interview, and so on – you get where I’m going with this. The realism is haunting, and there isn’t much gameplay in That Dragon, Cancer. It recounts scenes from Joel’s life, and it delivers monologues from Amy and Ryan – displaying how distraught and confused the two parents were in the face of this disease. 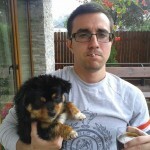 Joel went from gleefully playing with the family dog, to screaming in agony because he was experiencing huge amounts of pain. The story opened a cruel room that, for many players, should have remained closed. 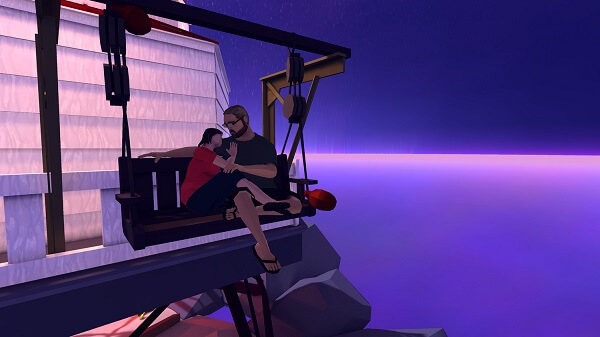 As a matter of fact, if you’ve experienced first-hand the realities of cancer, I bid you to be careful when playing That Dragon, Cancer, as it brought me to tears and made me contemplate about what life could have been without this illness maiming my family. And I’m not the only one to do so. Yet, the little mini-games about lighting candles and racing karts in a techno-infused church, made me face palm with passion. 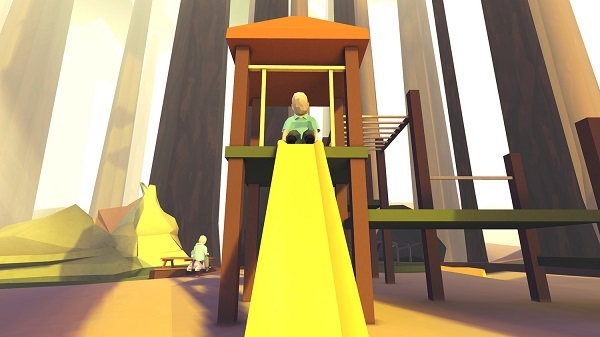 That Dragon, Cancer is great when it tries not to stick to the traditional game elements. Its narrative and story are the ones that drive it to our hearts. Bringing more game elements for the sake of appealing to a broader public feels shallow. The segment where you have to control the karts is just flat, and a game that provokes so much emotion doesn’t need this kind of mechanics to obstruct the overall experience. The soundtrack is evocative, and the dialogue is raw, which makes it touching, even gut-wrenching at times. 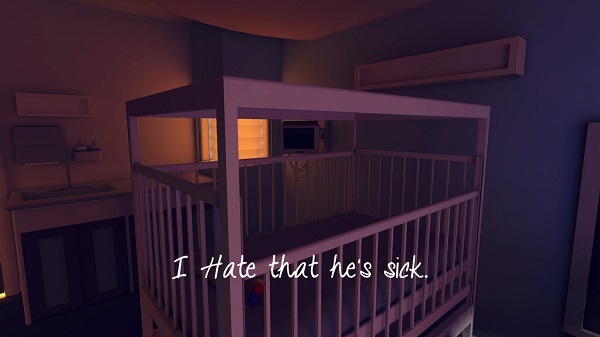 When you as a gamer, as an individual with a family who has loved ones, manage to immerse yourself in That Dragon, Cancer, and step inside its virtual world, the story turns another agonizing side. Upon the realization that the Greens were a real family, and their plight as well, you turn to thinking of your mom, dad, wife and child. How would you cope with not being able to do anything to save them from their suffering – and even to how they would cope with you leaving the mortal realm for good. Faith plays a large role in the game, and I can go as far as naming it the second big theme. Yet, through all the pain, and sorrow, I couldn’t see all the scenes that involved God without cynicism. There’s too much talk about divine grace, and, overall, it comes out more as someone getting nigh high on his horse and refusing to back down, rather than being a believer, adept, of a religion. Given that this reviewer’s personal feelings regarding faith in the face of a, basically, unfair tragedy are quite polar-opposite, I felt a little bit cheated. This isn’t to say that I don’t respect That Dragon, Cancer for having the guts to stick to its guns. In an industry where religious, and spiritual themes are often reshaped, renamed, and fundamentally reoriented as not to resemble as references to real world religions, it’s quite refreshing to see a title talk so openly about the subject. 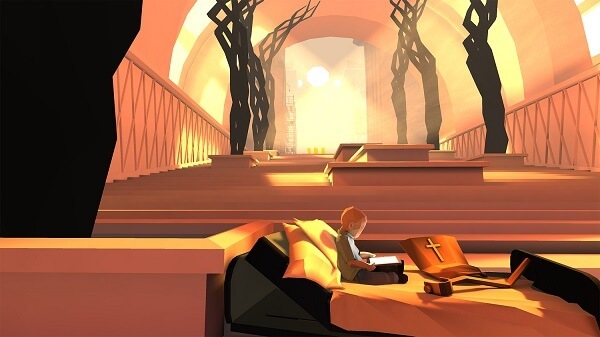 While there will be a lot of people wrongfully bashing it for being a cheap one-trick pony that delves into one of the biggest plagues of the modern-era, tricking heart-broken families into buying it just because hey, it’s about cancer, That Dragon, Cancer, is built on top of despair and sorrow. It’s built on top of the cancer plight that ruined families. It’s meant to offer cathartic experiences. It’s meant to offer some sort of closure. The Greens are alive and breathing, and they wanted to show the world that they were forced to swim through the brimming hellfire oceans of depression and found a way to pay homage to their son, who was taken from this world too soon. I whole-heartedly recommend That Dragon, Cancer, as even though it’s not a game, per se, it’s a fantastic experience that you must play if you plan on coming to peace with the cruel hand that life has dealt you. That Dragon, Cancer is available on Mac and PC. You can buy it for $14.99 from Steam, with 10% of the proceedings, if you buy the game via HumbleBundle, going to the Morgan Adams Foundation. Also, if you happen to buy it from Ouya’s storefront, proceedings will be distributed to the Morgan Adams Foundation and Family House SF. Both charities were picked by the Greens themselves.